There must be a better way? As Angkor Wat and the temples complex has become a major tourist draw, we decided long ago to create tours to suit small groups to avoid the rush hour of tourists and all the noise and flag waving that seemed to go hand in hand with the larger tour groups. With this in mind all our tours are focused on visiting sites that either other tour groups don’t know about or are too difficult to do in large numbers. Sure we cover the main temples also but we try and avoid the many crowds that tend to group together and select the temples at the best times to avoid the crowds and also maximising the best photo opportunities, we have full time professional guides that are expert on not only the temple but share our ideas on our crowd avoidance policy. All our tours are capped at maximum number of people on the one tour, no large tour groups, personalised service and care without the rush or hassles, explore at you own pace. All tours include fully licenced and experienced guides, our guides are all full time employees that have helped design the tours you will be doing, all are the best in their field, most are from the very places you will visit, our Beng Mealea guide was born near the temple, our Kompong Phluk guide was born in the village, this way you can be assured of the best possible sites and at times to suit. 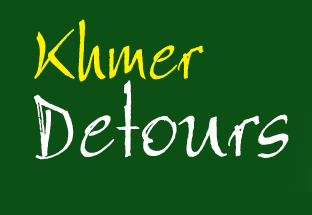 All tours include free pick up and return to your hotel, guesthouse or any place in Siem Reap. The pick up is either air conditioned car or air-conditioned mini van or TukTuk. It’s your choice and just let us know which you prefer. All tours unless otherwise stated include all check points/road fees/control points meals and drinks. Our idea is no hidden costs. All our staffs are local people, most where born in the village you will visit, they are all full time employees. All our staffs receive fair pay and conditions, see our employment policy for more info. We are a responsible local company that take pride in delivering sustainable low impact, environmentaly friendly tours. See our environment policy for more info we hope you enjoy your tours with us, we realise for a company to be successful we must ensure every customer has a unique and special experience with us, we try to keep our prices down to ensure we are competitive but at the same time we do not want you to experience any hidden costs we are upfront on our prices, so unless otherwise stated in BOLD PRINT our prices will include everything. Just on the subject on pricing when surfing the internet on tours available many companies quote a very low price however its false advertising as later you find out the price is for bigger groups, all our prices are for 1 person. If 1 person books a tour its the same price. All prices are displayed with the tours, all in USD and are quoted per person. One person we go, no minimum number. We find that some 30% of our customers are single travellers and we accept bookings for one person, you can book via our website or phone or visit our office or ask your travel agent or hotel, we have selected hotels and travel agents able to sell tickets for our tours.